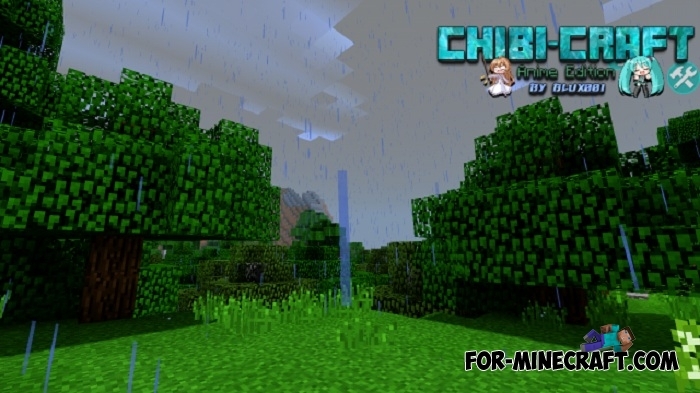 Chibi Craft is the most extraordinary texture pack combining at once many features from completely different subjects. 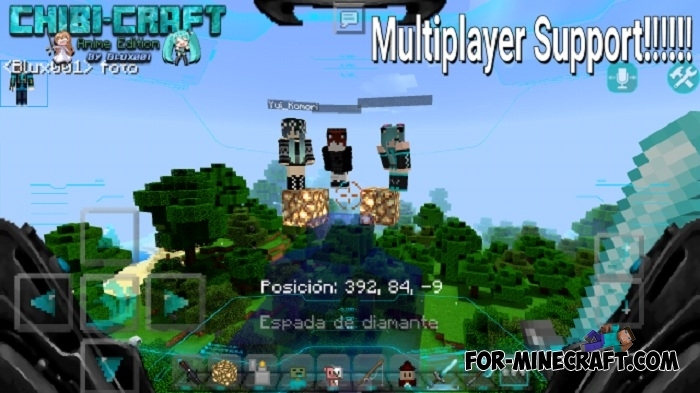 The main idea is the beautiful addition to MCPE so that users of this pack get pleasure from everything that happens. The creator added a bunch of new textures and sounds (sounds are a separate topic for discussion since there are so many sounds and they replace a lot of standard actions). There are shaders that add realistic lighting and a pleasing color scheme. New HUD taken from the Halo game franchise (there are 8 options for your taste). Huge pack with new sounds. It works both in single and multiplayer modes. 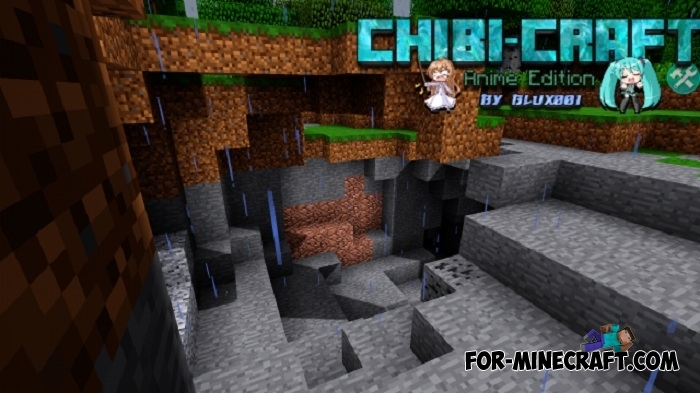 In the end, Chibi Craft is based on anime and has been developed for 4 years. 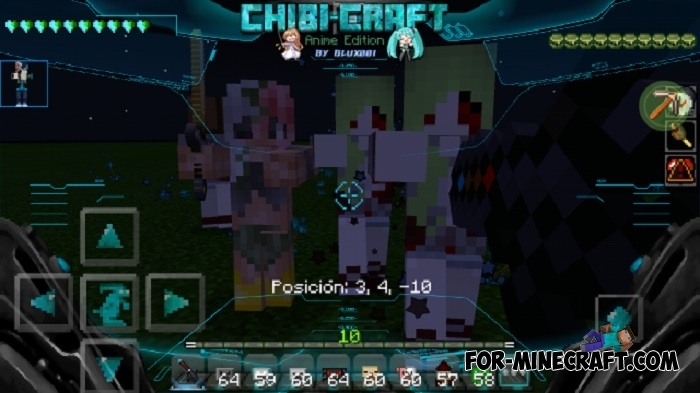 For all this time the Chibi Craft pack has received a lot of new and continues to develop.